The information on this website should be treated as a guide only and is not to be relied upon as sole advice on which to base any decisions, if you have any concerns about the accuracy of any information, please contact us with the appropriate details. All articles have been written by us from data collected from books, the internet and from our own personal knowledge. They are not direct copies from any other source, but written and compiled by us. Therefore the content and graphics on this site are protected by copyright law and may not be copied or re-used without the express permission of Which Martial Arts, which reserve all rights. Re-use of any of such content online for any purpose is strictly prohibited. The content from this website is available for personal use/information and non-commercial uses offline only. Third party product, property, or any other material in this website are protected by third party copyright and shall not be published, broadcast, rewritten for broadcast or publication or redistributed directly or indirectly in any medium. Neither this material nor any portion thereof may be stored in a computer except for personal and non-commercial use. All images been taken from sites within the public domain which advertise these for both personal and/or commercial use. However, if you believe we may be using an image or sound that contravenes this, then please let us know. You must however demonstrate this if this is the case, where we will be happy to remove such content. Credit: The majority of the pictures have been taken from Wikimedia Commons or Creative Commons, therefore we give credit to those who have allowed the use of their images. Please visit these sites for further details and to acknowledge their contributions. Videos on this site are embedded from YouTube. Any video that is found to be infringing any copyright laws will be removed immediately, with our apologies. Any videos that belongs to an individual who would also like it to be removed can also contact us with the details. Please remember that we are unable to gauge whether a video is contravening any laws until pointed out and that no copies of the videos are kept by us or my web host. We accept no responsibility for the content found on websites linked to this website, nor to any issues arising from their use. Comments and content left and displayed by other users are the views of the poster/author and not of the website nor its owners. However user content will be policed to the best of our ability and if found to be inappropriate will not be submitted to the website. We recognize that your privacy is important. This document outlines the types of personal information we receive and collect when you use Which Martial Arts, as well as some of the steps we take to safeguard information. We hope this will help you make an informed decision about sharing personal information with us. Which Martial Arts strives to maintain the highest standards of decency, fairness and integrity in all our operations. Likewise, we are dedicated to protecting our customers’, consumers’ and online visitors’ privacy on our website. Which Martial Arts collects personally identifiable information from the visitors to our website only on a voluntary basis. Personal information collected on a voluntary basis may include name, postal address, email address, company name and telephone number. make reasonable efforts to ensure that the purchaser honors any opt-out requests you might make of us. Hi and welcome to Which Martial Arts. 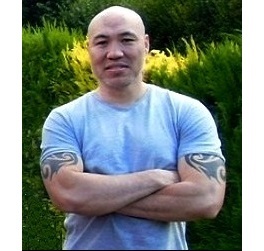 I'm Mike Lee and have been interested in martial arts for well over 30 years...... Read more. The question about which martial art is best suited to real life defence situations has been around and argued about for many years...... Read more.